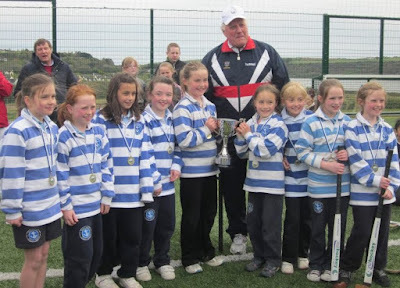 Congratulations to Gaelscoil Chionn tSáile for winning the inaugural Jim Good Perpetual Cup for Fair Play at Saile's School Hockey Blitz on Saturday 28th April 2012. Meabhrúcháin daoibh go léir ó Fr. Young na Boscaí Trócaire, le airgead ar bith a chuir sibh iontu, a sheoladh ar ais chun na scoile anois. Tá sé seo an-thábhachtach dosna daoine bochta thar lear. Is féidir libh iad a fhágaint san oifig. A reminder to you all from Fr. Young to send your Trácaire boxes, with any money you have put in them, back to the school now. This is very important for the poor people over-seas. You can leave them in the office. Rang 1 & Rang 2: Attention Parents of children who attended drama competition in Mullingar yesterday, Thurs, 26th April. Cian (O Ceilleachain) came home wearing a different blue school T-Shirt from the drama competition yesterday! There is no name on it, but its a Marks and Spencers make T-Shirt. Cian will give it to Muinteoir Ciara tomorrow Friday 27th - so following on then, I'd say Cian's Rugby Top and T-Shirt were picked up by accident by someone else in the dressing room after the show. His name is on them but not up by the collar, its writtin on the tags on the side seam under the sleeves. If ye could check for me and if ye come across them maybe give them to Cian or Muinteoir Ciara and I can collect them. Thanks a mill. Just to say a big huge well done to all the Muinteoiri and all the kids involved in the drama yesterday. Everybody was absolutely fantastic and did Gaelscoil Chionn tSaile proud. Well Done! Táimid ag smaoineamh ar aghaidh go dtí an t-am go mbeidh bhur bpáistí ag tosnú sa Mheánscoil. Fe mar is eol daoibh níl aon scoil dara leibhéal nó meánscoil trí mheán na Gaeilge ar fáil faoi láithir timpeall na háite seachas freastal ar an nGaelcholáiste i gCarraig Uí Leighin nó ar cheann sa chathair. An rogha eile a bheidh ann, gan amhras, ná freastal ar scoil Béarla. Táim agus Gabriel, an cathaoirleach, tar éis bualadh le príomhoide an scoil phobail thíos, Seán Ó Broin chun a fheiscint a bhfuil aon slí go bhféadfaimís sraith/aonad Gaeilge a bhunú sa scoil thíos. Ta cuma dearfach ar an scéal ach ba mhaith linn bualadh libhse, a thuismitheoirí, chun na féidireachtaí a phlé. Mar sin táim ag tabhairt cuireadh daoibh freastal ar cruinniú linne sa scoil phobail Dé Céadaoin an 9ú Bealtaine ag a 6 a chlog. Tá fáilte romhaibh ar fad, ní hamháin tuismitheoirí Rang a trí, mar gan amhras braitheann seo ar fad ar an suim atá ag tuismitheoirí amach anseo. We are thinking ahead to the time when our children will be starting secondary school. As you know, there is no Irish medium second level / secondary school available at present locally other than Gaelcholáiste Carrigaline or an Irish school in the city. The other choice is, of course, to attend an English medium school. Gabriel, the chairperson, and I have met with the principal, Séan Ó Broin, of the Kinsale Community School to see if there is any way we could start an Irish stream/section there. It is looking positive but we would like to meet with you, parents, to discuss the possibilities. Therefore I am inviting you to attend a meeting with us in the Community School on Wednesday the 9th May 2012 at 6 o' clock. You are all welcome, not only the parents of 3rd class as, obviously, this totally depends on the interest of parents of years to come. Fwd: FW: CHILDRENS RIGHTS CAMPAGINER, CHRISTINA NOBLE WILL VISIT KINSALE SCHOOLS ON THURSDAY ! Of helping each child maximise their life potential ! Christina will visit Kinsale community secondary school at 10.30 on this Thursday morning and at 12.30 will visit summercove national school ,Kinsale, where she will speak about her amazing life,her tough childhood & about her dream of going to Vietnam to help abandoned children ,which many may know became a reality ! She has written several books about her life and a movie will be made shortly about her remarkable life story, a true life story about a woman, who in her life got everything thrown at her! A shining light in a very dark world! admission free ,donations welcome on the night ,come meet & greet this extraordinary person ! Seo a leanas plean don Déardaoin seo chugainn an 26ú Aibreán. 08:00 Bus ag fágaint na scoile. Stopfaidh an bus le haghaidh leithreas & sos ag Caiseal. Ar an mbothar arís i dtreo Carlow, Tullamore, Muileann gCearr. Íocfaidh an scoil as an lón dos na páistí. Ní bheidh airgead ag teastáil uatha. Maidir le héadaí, ba ceart go gcaithfidh siad a n-éide spoirt agus seaicéid má eiríonn sé fuar ach ní cheart go mbeidh sé fuar ar an mbus nó ann. Bíodh bricfeasta acu mar is gnáth sa bhaile. Beidh 2 sneaic ag teastáil uatha – ceapairí, torthaí agus mar sin de. Déan iarracht rudaí nach ndéanfaidh salachar a thabhairt dóibh gan amhras. Bíodh deoch nó dhó acu chomh maith. Stopfaimíd le haghaidh picnic i gCaiseal ar an tslí suas agus leithreas ag Tullach Mhór. Beidh a lón féin acu i Muileann gCearr agus stopfaimíd le haghaidh sceallóga nó MacDonald's ar an tslí anuas i bPortlaoise. Stopfaimíd 2-3 uaire le haghaidh an leithreas nó chomh minic agus is gá. Má tá fadhbanna ag do pháiste le taisteal ar bhus – caitheamh amach / leithreas nó mar sin de, téir agus mínigh é do Mhúinteoir Ciara. Tuigim gur rud mór daoibhse, dos na páistí agus dúinne turas mór fada mar seo a dhéanamh. Déanfaimid ár ndícheall go mbeidh gach rud chomh eagraithe agus is féidir. Beidh múinteoirí Ciara, Alma agus Siobhán Ní Bhruacháin leo ar an lá, don lá ar fad. Tá roinnt spásanna ar an mbus do thuismitheoirí má tá fonn orthu dul ach níl aon gá do thuismitheoirí teacht chun cabhrú. Tá fáilte romhaibh ach níl gá libh. Má tá tuismitheoirí chun freastal ar an gcomórtas b'fhéidir go mbeidh sé ciallmhar dá dtaistealódh tuistí le chéile. Is fúibh féin atá sé seo a eagrú. 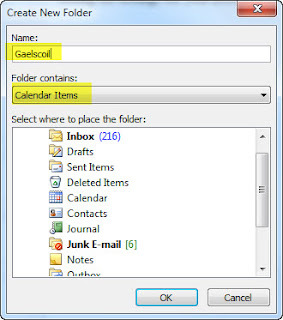 Tá sé ar siúl san Ionad Ealaine, Muileann gCearr, Co.na hIarmhí.Téir go dtí www.scoildramaiocht.ie/ionadealaine.php le haghaidh aon eolas breise faoin gcomórtas. Treoracha srl. Ba cheart go mbeimíd ar an stáitse ag a 2.30pm i Muileann gCearr. Táimid ag súil le bheith thar nais ag an scoil timpeall a 8 a chlog. Cuirfear téacs chugaibh má tá moill orainn. Ag MacDonald's beidh rogha acu idir nuggets, buirgéir nó iasc agus sceallóga agus uisce. Roghnaigh an ceann a bheidh ag do pháiste tré tic a cur leis ar scoil. There will be a toilet stop at Cashel. On the road again towards Carlow, Tullamore, then Mullingar. The school will pay for the children's lunch. They won't need money. As regards clothes, they should wear their sports clothes and a jacket in case it gets cold, but it shouldn't be cold on the bus or there. They should have their breakfast at home as per usual. They will need 2 snacks – sandwiches, fruit and so on. Try to give them food that won't soil their clothes, of course. The should have a drink or two also. We will stop for a picnic at Cashel on the way up and a toilet stop at Tullamore. They will have lunch at Mullingar and we will stop for chips or MacDonalds on the way down. We will have 2-3 toilet stops or as often as is necessary. If your child has trouble travelling by bus go and explain it to Múinteoir Ciara. I understand that it is a big thing for you, for the children and for us to make a big journey such as this. We will do our best to have everything as organised as possible. Múinteoirí Ciara, Alma and Siobhán Ní Bhruacháin will be with them on the day, all day. There are a few spaces on the bus for parents if they feel like going but there is no need for parents to come to help. You are welcome to attend if you want to but the school has sufficient supervision. If there are parents who are attending the competition maybe it would make sense if they travel together. 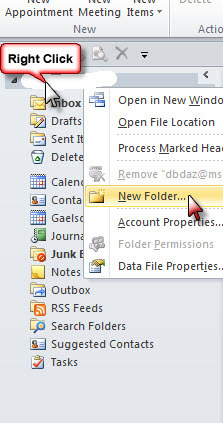 This is for yourselves to organise. 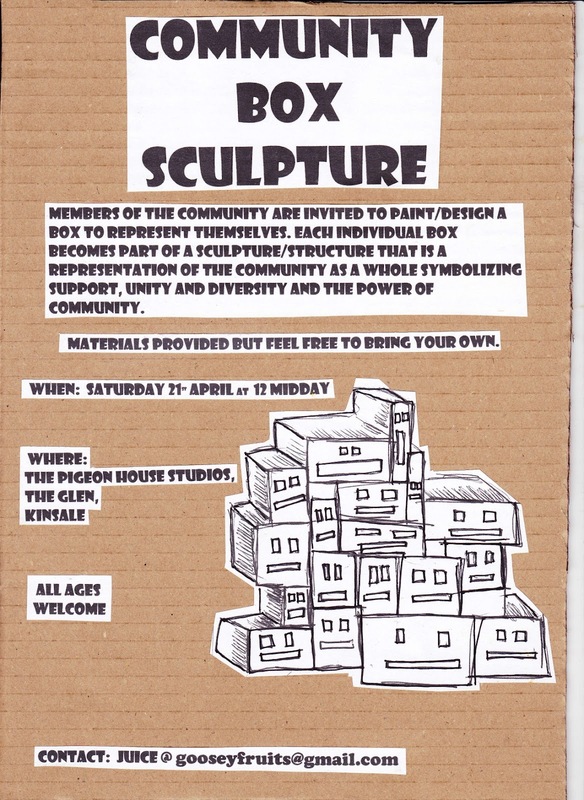 It is taking place in the Arts Centre, Mullingar, Co. Westmeath. Go to www.scoildramaiocht.ie/ionadealaine.php for extra information, Directions etc. We should be on the stage at 2.30pm in Mullingar. We are hoping to be back at the school at about 8.00pm. We will send a text if we are delayed. At MacDonald's there will be a choice between nuggets, burgers or fish and chips and water. Choose the one that your child will want by putting a tick beside it at school. Diabetes Ireland invites you to take part in an unforgettable challenge. 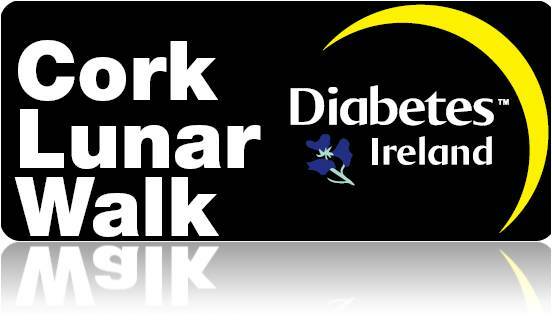 Since June 2010, over 700 people have taken to the moonlit streets for the Diabetes Ireland ‘Lunar Walk ’ collectively raising over €120,000 for Diabetes Ireland and walking an incredible 120,000 Km between them (30 Km each). This summer, walk 20km or 30km in Cork and support diabetes in Ireland on May 26th 2012. Walk with family, friends or work colleagues under the stars and discover Cork city at night. 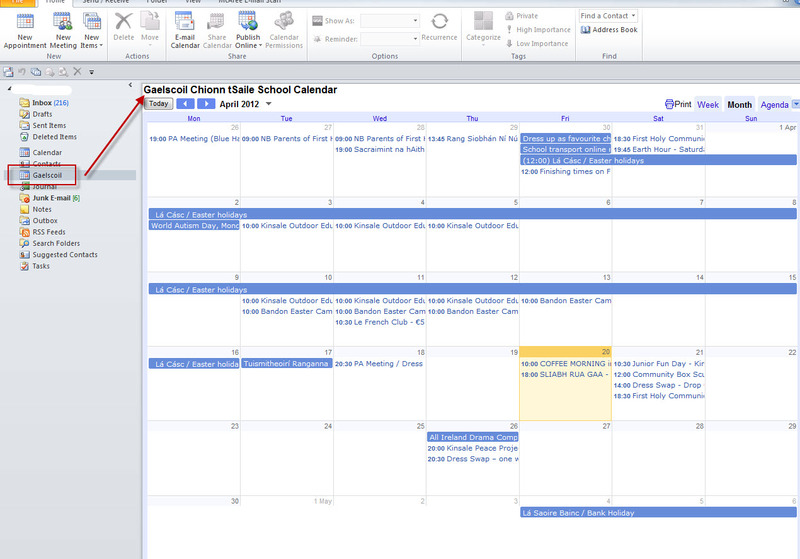 We previously posted information on how GMAIL users could automatically add the school calendar events to your own personal calendar. Details on how to do this are available here. 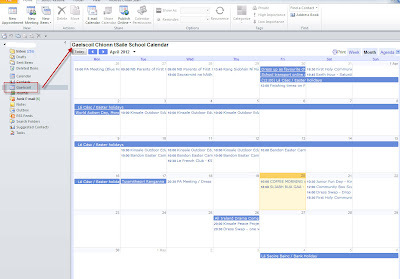 Microsoft Outlook users can also add the school calendar to their own setup by following these steps. 2. 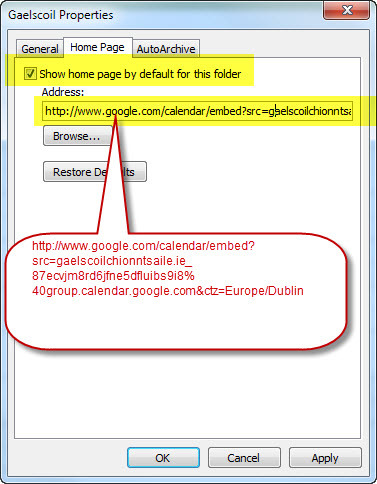 Right click on this new Gaelscoil Calendar and choose Properties. 3. Click on "Home Page" tab for this new Gaelscoil calendar folder and copy/paste the long URL listed below to the Address field making sure that you also check "Show home page by default for this folder". 4. 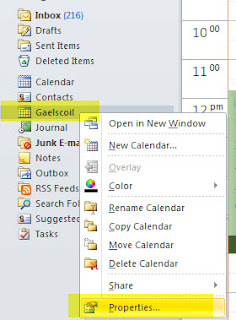 Now when you click on this Gaelscoil calendar folder you will see the school calendar. 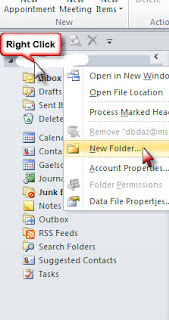 Instructions for GMAIL users is available here. Transition Town Kinsale - Let's Share the Harvest! Why grow your own food when we can grow it for you...and share the harvest?!!! Kinsale green growers is looking for new members to share its harvest in 2012. By signing up for our community supported agriculture scheme you can get great quality veg at a great price!! Members of the scheme will receive weekly or fortnightly shares a wide selection of fresh vegetables all grown just 1 mile from Kinsale!!! Please watch out video to find out more!!!!! Welcome to the April An Taisce Environmental Education Unit E-zine! Click here for the April 2012 Edition of the An Taisce Environmental Education Unit E-zine. GACH DUINE A CHEANAIGH NA 'CHRISTMAS ANNUALS' TÁ 'SPRING MAGAZINES' ÁLAINN LE BHAILIÚ SAN OIFIG! Everybody that bought the 'Christmas Annuals' is entitled to the lovely (free) 'Spring Magazines' which can be picked up in the office... Compliments of Folens. Please spread the word about the upcoming dress swap event in aid of Gaelscoil Chionn tSáile - the more people come come and donate, the more fun it will be. You can drop off your things this Saturday (21st) from 2 -5 pm in the Fastnet Room of the Trident - it's on the ground floor, just ask at reception and they will point you in the direction. If possible, please bring hangers when you drop off your goodies. On the night of the event, Thursday 26th April 2012, it would be a good idea to bring a carrier bag with you to take your swag home! We could still do with more bodies to help on the night, so more volunteers would be hugely welcome. If you are on Facebook, please "like" the "Whats on in Kinsale" page - and there you will see our event advertised. It should be a really good, fun, sociable, girlie night. See you all there!! Bhailíomar €132.19 ar an 'Lá Gorm / Gléasta suas' roimh Laethannta Saoire na Cásca le haghaidh 'Autism Assistance Dogs Ireland'. Míle buíochas uatha. We collected €132.19 on the 'Blue/Dressed Up Day' before the Easter holidays for 'Autism Assistance Dogs Ireland. They appreciate this very much and expressed their gratitude to us. All money goes directly towards the transport cost of bringing children to Kinsale for a month. Many thanks for your assistance in organising the ordering and distribution of Christmas Annuals in your school last December. As promised, please find enclosed free Spring magazines for distribution to children who purchased the annuals at christmas. Noel O'Reilly, customer service manager. ...So 'Spring Magazines' in the office for collection by the children who bought the 'Christmas Annuals'! Tuismitheoirí Ranganna 2&3/2nd & 3rd Class parents. Beidh leanaí Rang a 2 ar fad agus Rang a 3 ag dul go Cóbh amárach, an 17ú, go dtí an Titanic Experience agus Cobh Heritage Centre. 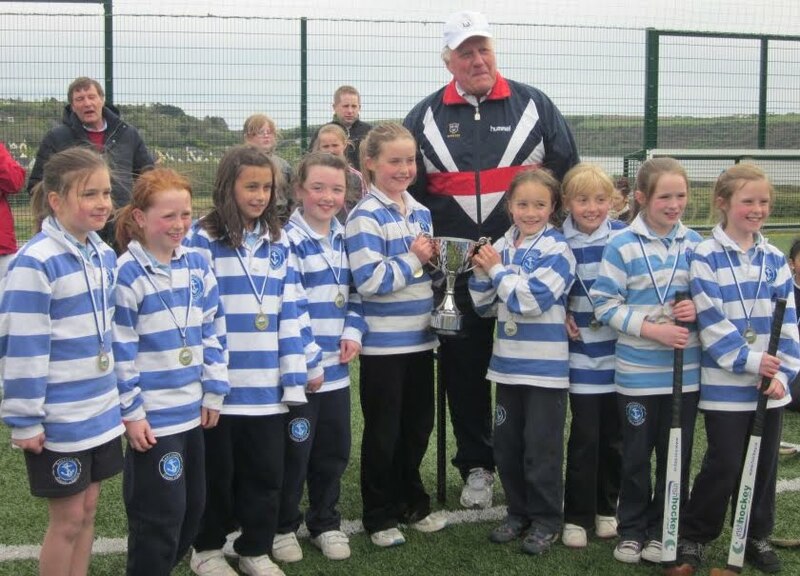 Beidh an scoil ag íoc as an turas. Beimid thar n-ais ag a 1.30. Bí cinnte go bhfuil cóta ag do leanbh. Second and third class are going to Cobh tomorrow to the Titanic Experience and Cobh Heritage Centre. The school will be paying for the trip. We will be back at 1.30. Make sure your child has a coat. The next PA Meeting will take place on Wednesday 18th of April, at 8.30pm in The Trident Bar. We are looking for volunteers for, The Dress Swap which takes place on Thursday 26th April and The Family Fun Day which is to take place on Sunday 10th of June, so please come along to this meeting on Wednesday. 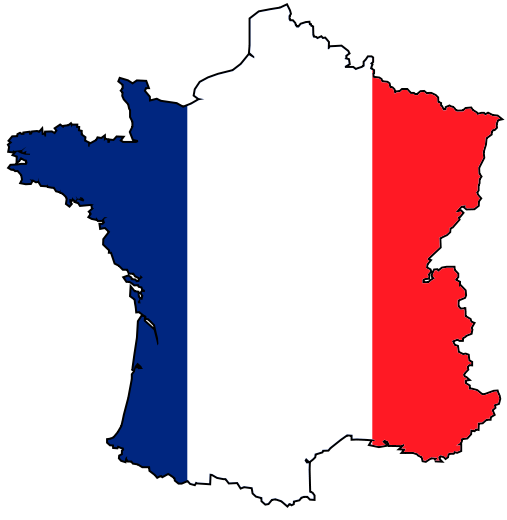 Le French Club will have a french movie morning on Wednesday 11th of April in the Scoil. The class will run from 10:30 to 12:30 and will cost €5.00 per child. The children will get a 45min french class and will get to watch "Emilie Joli" and eat popocorn and chocolate. This class is exclusive to the children of the Gael Scoil Chionn Tsaile and their sibblings. The movie is most suitable for children aged 4-9. This year National Parents Council Primary will be embarking on a new chapter in its evolution, through the development of its new strategic plan. It is an exciting period for the organisation when we reflect on the past, take notice of the present and look to the future of primary education. The NPC Board is committed to developing a strategic plan which is relevant and accessible to parents of children in primary school today but also aspires to a future which ensures that children are the centre of the primary education system. The NPC Board believes that wide consultation on the new strategic plan is central to both the development of a relevant and coherent plan and to its successful implementation. We would ask you therefore to complete the survey below so that you can "have your say" in the future of NPC, helping to ensure that the future direction of NPC will make a real difference to parents in supporting the educational lives of their children.